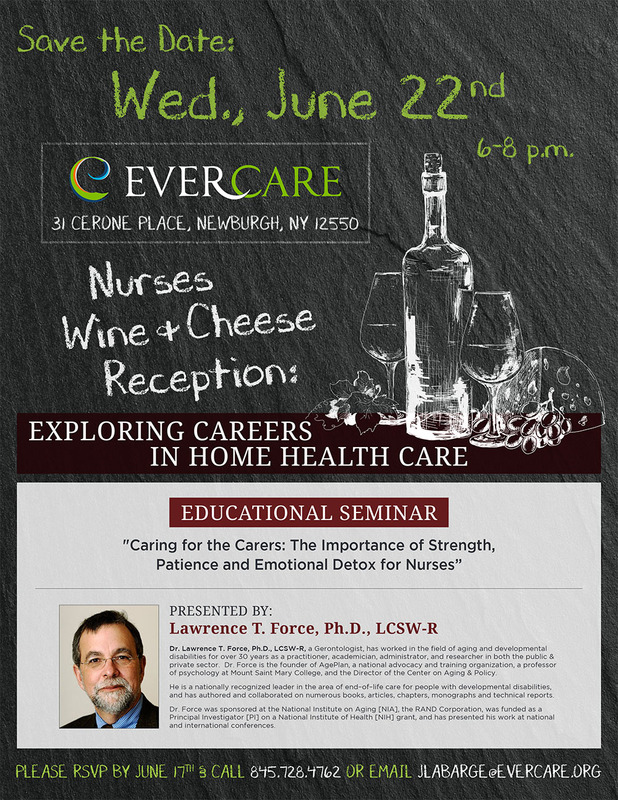 EverCare, a Certified Home Health Agency operating in the Hudson Valley, will host “Nurses Wine & Cheese Reception: Exploring Careers in Home Health Care,” on Wednesday, June 22nd at its office at 31 Cerone Place, Newburgh, N.Y. from 6 p.m. to 8 p.m. 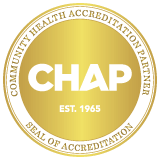 The event is open to nurses in the Hudson Valley who are actively seeking or may be interested in careers in the home health care industry. An educational seminar, titled “Caring for the Carers: The Importance of Strength, Patience, and Emotional Detox for Nurses,” will be presented by Dr. Lawrence T. Force, Ph.D., LCSW-R. Guests will enjoy a selection of fine wine and cheese throughout the event. Dr. Force has spent over 30 years as a practitioner, academician, administrator, and researcher for both the private and public sector in the field of aging and developmental disabilities. His work as the founder of AgePlan, a national advocacy and training organization, as a professor at Mount Saint Mary College, and as director of the Center on Aging & Policy have earned him national recognition. 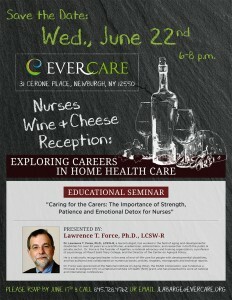 Those interested in attending are requested to register by calling 845.728.4762 or emailing jlabarge@evercare.org by June 17th.